Unsure what to get for that person who has everything? 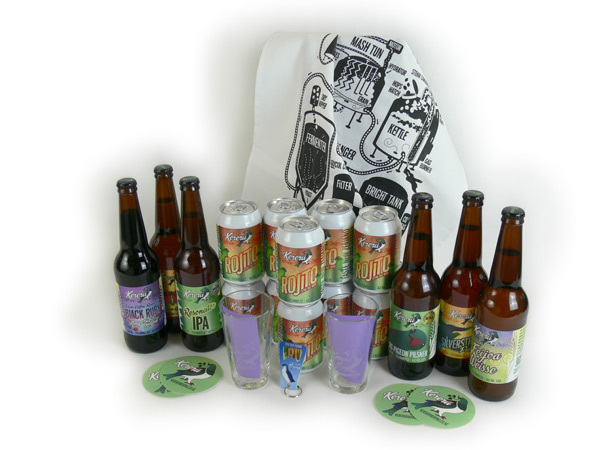 How about a Kereru Party Pack which comes complete with a selection of beers in 500ml bottles, plus 10 330ml cans of Rojito Extra Pale Lager (our new beer for Summer), plus a Kereru keytag bottle opener, and two 285ml branded Kereru glasses to pour the beers into. Also includes a Kereru tea towel which can be used as a tiny table cloth, or to cope with any spills. All neatly packaged in a discrete 12 x 500ml Kereru branded beer box. The perfect way to kick off your summer sessions. Our brand new Rojito Extra Pale Lager pairs perfectly with you and your friends, and it's only available in this special release party pack!